My name is Tonnie Grijze and I'm from the Netherlands. I just started designing a crossbow for target shooting (20 meters). The topics in this forum are very interesting and I think the knowledge of the members is huge. When I finishe the first design work (this will be the trigger) I will post it here for ideas and tips for improvement. Hey and welcome to the forum. Despite half my family (Mom's side) being Dutch I don't actully know a Dutch greeting. I think I'm going to have to remedy this. Can't wait to see what your crossbow looks like when your finished. Are you building this crossbow for competion? Yes I'm building it for competition. Te competition is at 20 meters. I did own a belgian target crossbow but I sold it when I stopped shooting a few years ago. I want to pick-up shooting again and want to build my own crossbow for it. 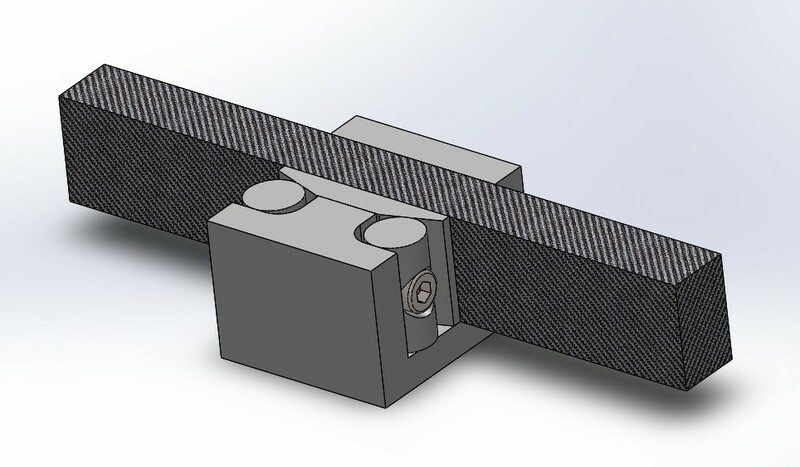 The first part I want to develop / build is a two stage trigger with safety mechanism and adjustable trigger resistance. That should be a snappy crossbow at 80 to 120kg. (shouldn't be Newtons not Kilograms sorry being a pedandic engineer - a terrible combination). One quick question for clarification, by two stage trigger do you mean a trigger and set trigger or a single two-stage trigger. There are some trigger plans floating around the site here but I'll more than happy to review any that you come up with. or is you just want to bounce some ideas around. Match style x-bow build?! Awesome! Welcome and thanks for joining. I assume you will be doing the frame in aluminum? Ok, I will use Newtons instead off kg for force. I’m an engineer myself and most of the time I use newtons people look kind of fussy. Great to know people here understand. The trigger will be a single two-stage trigger. The frame will be aluminum. I saw a few trigger plans / ideas and it will be a combination of those twisted in to my own idea on how this trigger should work. Hi Dutchbow, keep us up to date with your project sounds interesting. By the way where is that picture in your avatar from, is that your crossbow? Yes it is me in my avatar but it is not my bow. The wooden stock was made by myself, the metal parts where made by a fellow bowbuilder. I bought the 20m target bow in a terrible condition. I disassembled the bow and cleaned an repaired it. I sold both bows in 2006 when I stopped shooting. Thanks for the link. I find them very interesting. I almost got my hands on a USSR made target crossbow once, but another guy bugged out about me living in US(everything Russian should remain in Russia type of crazy), but I agreed with him and we went our ways happy(well, I was just happy never to see the guys face again ). Really looking forward to this build, I like detailed mech work as well as clever little ideas, and those bows are full of them. Even before you begin, it would be great to just have a closer look at your bows, if you don't mind. The first thing that caught my eye was the mounting solution on the first bow. Looks very unique, but under such an angle that I can't tell how it's been done...drives me nuts. Also love looking at sights. I mean anything you got...I'm in. PS: Kg, Lb, Newtons, etc....no matter what unit you use...those who want to...they will understand you even if you speak Latin. Welcome to the Guild! It has been a while since I was on the forum. My plans on designing a target crossbow just have been that, plans. Time was the main reason, That is, a lack of it. I’m now picking it up and will start designing the trigger I had in mind. I think you mean the mounting solution on the “wipboog”. I will see if I can make some drawings of it and post them here. 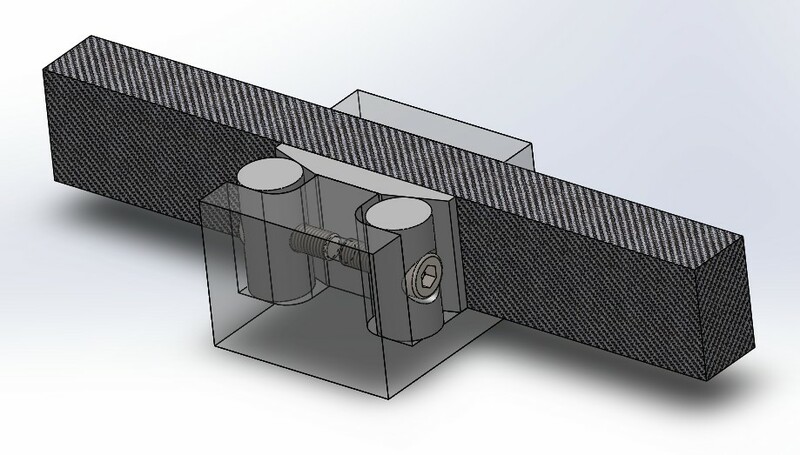 I have made a 3D model of the mounting mechanism of the bow. Maybe I should open a new discussion on the best, easiest, smartest or most beautiful way to mount a prod. I have some other mounting methods on sketch laying around. I like your mounting system, have done something similar using opposing wooden wedges held in place with cover plates. Would like to see your trigger ideas as that is always a fascinating subject.